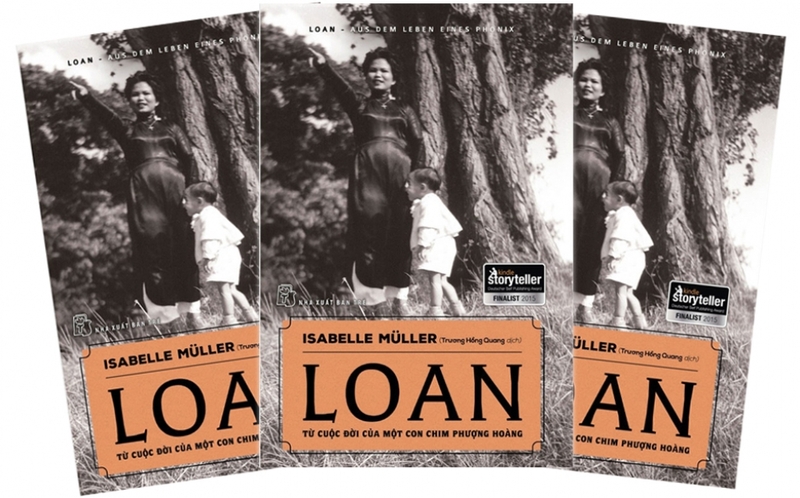 LOAN – I want to capitalize each character of her name – just like the author Isabelle Müller, her daughter – has used in the literature the same name. That thought helped me feel better when I accompanied Isabelle into her recollection of her mother, into the life of over seven dauntless decades of “a phoenix” who always soars toward the sky with an intense feeling for her homeland. 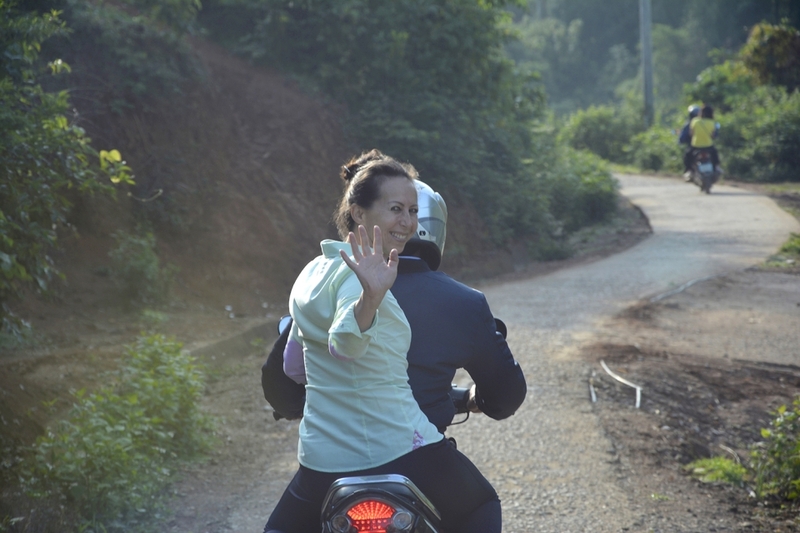 Isabelle and I met right after she just finished a 10-day trip to the three mountainous provinces of Northern Vietnam – Lao Cai, Yen Bai, and Ha Giang – to set up several projects for the local children. The book “LOAN – from the life of a phoenix”. 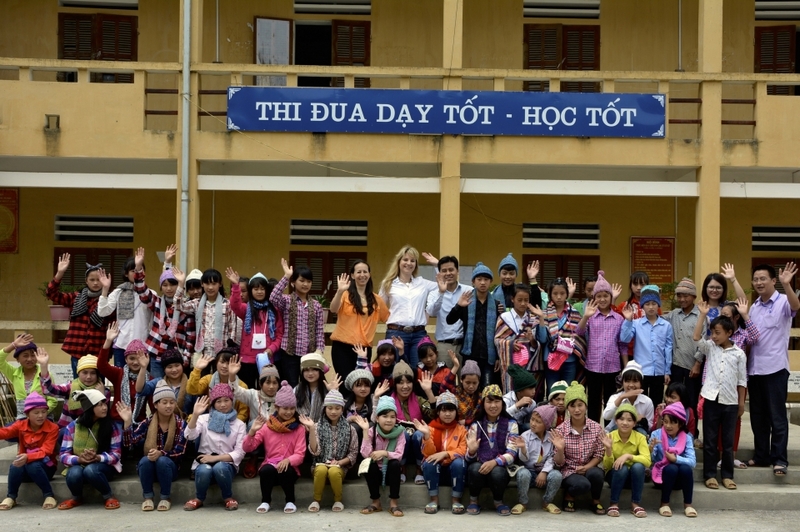 Isabelle Müller – the child of half Vietnamese and half French, made a career and married a German – is focusing on building the LOAN Stiftung to carry out social charitable projects for the children in the mountainous Northern provinces. Mrs. Đậu Thị Cúc gave herself the name LOAN. In Isabelle’s memory, her mother’s hometown is a coastal village near Ha Tinh town. As Isabelle put it, her maternal grandfather belongs to ethnic minority (possibly Moi, an old name of Muong ethnicity) and thus her mother also belongs to the same minority. Born at the end of the 1920s, in a remote countryside and in a then male-dominated society, it is easy to see why the little girl Cúc was not allowed to go to school. However, her yearning for knowledge lead Cúc to days and months of ferocious beating just because she snuck out to lectures. At the age of 12, that little girl came to an audacious or even reckless decision when she left home to escape being sold to another person and also to end the days of enduring her father and her brother’s beating. Facing death times and times, being violated by the legion soldiers to the point of pregnancy… were the most bitter moments that Dau Thi Cúc has gone through after leaving home. Since her childhood, author Isabelle Müller had harbored the idea of a book about her mother’s life, but only 30 years later could she be able to pen and finish the literature after 2 years. The life of LOAN – the main character with victories over fiercest tempests in life – reflects an active period in Vietnam history. All the royalties from the book have been given to the LOAN Stiftung founded by the author to support minority children in Northern Vietnam. In the depth of her recollection about her mother, Isabelle occasionally lost her voice to emotion. It is difficult to imagine how an An Nam girl, running away from home and pregnant, managed to survive, to give birth in a society where outdated feudalistic mindsets were still trapping and suffocating each and every person’s fate. Yet, her survival endeavor and maternal instinct had pushed LOAN toward living and finding a new anchor for her life. Fate sent LOAN to meet with Isabelle’s current father – who at the time was just a young soldier less than 20 years of age in the French colonial army and a newcomer in the Vietnam War. That young French soldier showed LOAN a gesture that she later had used her entire life to repay. He became the adoptive father of the very little boy that LOAN had guarded with her life. From then on, LOAN’s life became the struggle with her husband’s migration to the South, and then followed him to France. Her husband denied her wish to enroll in a French school – alongside young children, since he believed a woman of that age yet still illiterate would bring shame to the family. Nevertheless, in her own way she learned to speak, to write, and to later become not only the economic backbone but also the one taking care of all documents, logistics… for the family. After 5 years in France, LOAN managed to bring her son over for the reunion. In 1970, she opened the “Vietnam restaurant” in a countryside near Tours. While talking about her mother’s “Vietnam restaurant” – where she was “recruited” into a waitress since 8 years old, Isabelle’s eyes were filled with proud. LOAN’s restaurant served the customers all kinds of traditional Vietnamese food such as stuffed pancake, spring roll, egg rolls, pho, soya noodles… Among those, LOAN’s soya noodles with chicken swiftly drew in not only the customers but also her own children. The very same Vietnamese dish later was quickly loved by Isabelle’s children. Throughout her childhood, Vietnam in Isabelle was the food her mother cooked, the folk songs her mother sang and translated for her. Nevertheless, since her first return to Vietnam with her mother in 1990 and witnessing the children’s deprivation in the poor countryside of Vietnam, Isabelle has wanted to do something. A bestselling novel for teenagers by noted writer Nguyen Nhat Anh has recently been published in Japan by translator Kato Sakae.